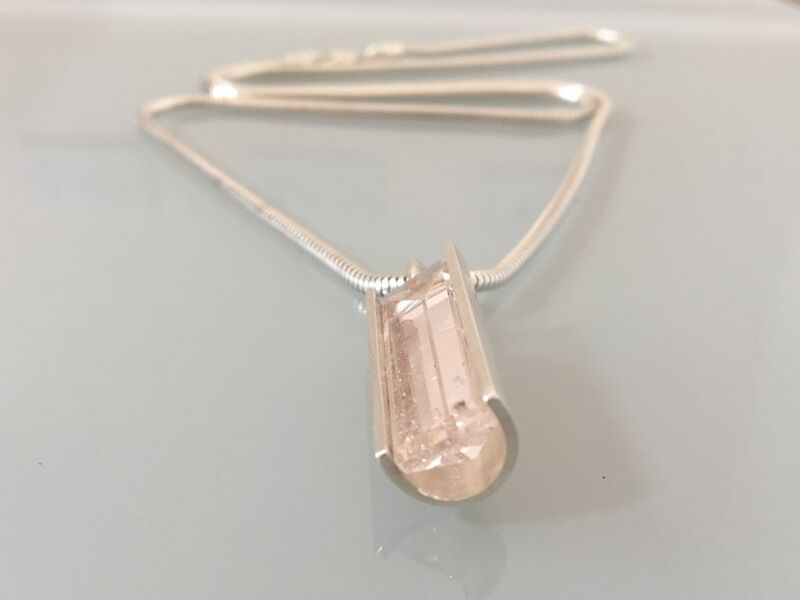 Solid sterling silver pendant in a satin finish set with a mirror cut pink beryl. The dimensions of the pendant are approximately 27mm x 10mm (excluding hook). 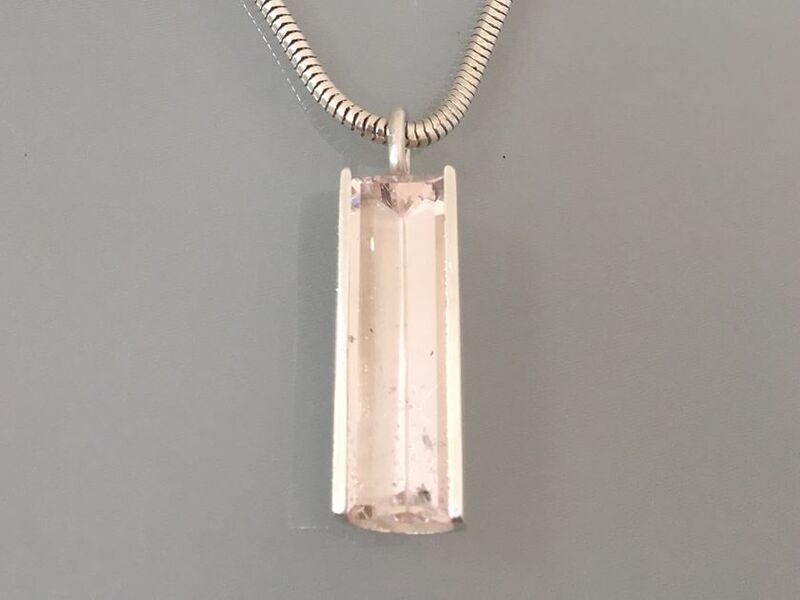 The pendant is hung on a solid silver snake chain available in 16 inch or 18 inch lengths. The pendant is hallmarked.